Atlantis, first launch, DOD mission. During the planning stage of the Space Shuttle, some changes were called for by the National Reconnaissance Office. That is an organization which, at that time, was not acknowledged to exist, but which is the home of sophisticated space hardware and a big budget. Specifically, NRO wanted the cargo bay on the shuttles to be bigger, presumably to accommodate their oversized spy satellites. They got their way, and the money they provided helped keep the struggling shuttle program afloat during the hard early days. We’ve been looking at the Air Force in space this week and NRO isn’t the Air Force — quite. However, the head of NRO has traditionally been an undersecretary or Assistant Secretary of the Air Force. So, close enough. It would not be unreasonable to think of the Air Force as an organization run by pilots and ex-pilots. MISS was a program designed to put men into space; so were the Dyna-soar and the MOL. But none of them ever succeeded in putting Air Force astronauts into space. During this period of public failure, there were secret successes in the form of more and more military satellites. One of the earliest class of mission was reconnaissance, and the Air Force/NRO success with unmanned satellites was the primary reason MOL was abandoned. Through the sixties and into the seventies, these satellites used sophisticated film cameras, and their findings came back to earth via film canisters dropped from satellites and snagged out of the air by military aircraft. After digital imaging came to maturity, that was no longer necessary. Sidebar. Just how successful those satellites were, and how rich the NRO is, became embarrassingly obvious in 2012. The NRO gave NASA two Hubble-quality space telescopes that they had ordered, but weren’t using. One of these is slated to become the Wide Field Infrared Survey Telescope, due for launch in 2024. At the same time that the Air Force, through NRO, arranged to have the shuttle’s cargo bay expanded, it began to build a shuttle launching facility at Vandenberg Air Base in California. To understand what this means requires knowledge that every space nerd had in the sixties, but which is never talked about these days. Why do we launch space missions from Florida? Because it is the only place in the US which is both far south and on the eastern seaboard. Rockets are typically launched as close the the equator as practical so that the rotation of the Earth is added to the rocket’s speed — something vitally important when crude, early craft were being launched. They are launched from the eastern seaboard to provide thousands of miles of open ocean for first stages — or fiery, falling failures — to land in. Vandenberg is situated on the western edge of the nation, ideally located for launching rockets north or south into polar orbit — that orange-peel path spy satellites need. Advanced Titans and Atlases launch from there as needed, without fanfare. But not with complete secrecy. It is a California cliché for a UFO scare to be debunked as “just another night launch from Vandenberg”. The Johnson Space Center is in Huston because Texan LBJ was President when it was built. Orbital physics had nothing to do with it. No shuttle was ever launched from Vandenberg. Shortly after the second classified Department of Defense shuttle mission, the Challenger was lost. Important secret launches were delayed by the hearings that followed. The relationship between NASA and the Air Force had never been a happy one, and the Air Force shifted as quickly as possible back to its own resources. They used the shuttle to take up satellites too large to be launched by other means, and otherwise returned to using their own missiles, typically out of Vandenberg. The Luke Skywalker picture of Air Force pilots in their space fighters has never come about. The closest to that idea is the robot X-37b, which we will look at in some future post. The Smithsonian Air & Space magazine carried an article in 2009 on the eleven black shuttle missions. Since most details are still classified, the article is frustrating, but will provide about as much as you will find anywhere outside of alien-influence websites. This entry was posted in A Writing Life and tagged history, military, politics, spaceflight, writing, X-craft on April 27, 2017 by sydlogsdon. Regular readers will notice that posts are now coming later in the day. MISS, Man in Space Soonest, was a USAF project to put a man into a capsule and boost him into space on top of a converted ICBM. It was cancelled, resurrected, and passed on to the new organization NASA, where it became Project Mercury. Times were tense. The Soviets had launched a satellite into orbit in 1957, beating America into space by a few months. They added to the humiliation by beating the US again in 1961, this time with a man in space. Worse than either accomplishment, was they booster that was used. 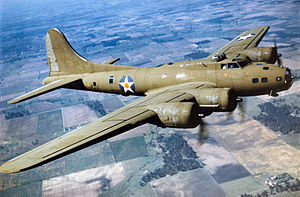 It was far more powerful than anything America had in service, or in development. A booster that powerful presented all kinds of doomsday scenarios. Eisenhower had plenty of problems at the time. He was using U-2 spy planes to illegally overfly the Soviet Union, and recognized that it was only a matter of time before that blew up in his face — which it did in 1960 when one of the U-2s was shot down while spying. MISS being transferred to NASA made it a civilian project, and less objectionable. The same logic led the Navy originated Project Vanguard to be passed on to NASA, and also to the use of underpowered rockets to launch it because they were not military hardware. Sputnik and the Soviet manned missions were on top of a military booster, rendering that concern moot. NASA went on to success in manned space flight, but in the fifties and early sixties, that was not a foregone conclusion. The Air Force moved on to the Dyna-soar. Project Dyna-soar (from the phrase dynamic soaring) had begun in 1957, when it was to be the next step after MISS. It was based on the theories of Eugen Sänger, who had a suborbital bomber on the drawing board for the Germans during WWII. The basic idea was to send a winged vehicle above the atmosphere on top of a rocket, whether in a sub-orbital flight or returning from orbital flight. That craft would skip repeatedly off the upper atmosphere on returning, dissipating the heat of reentry, and ultimately land as a glider. This sounds a lot like the Space Shuttle, but there are two main differences. STS was designed as a single stage to orbit vehicle, and it dissipated heat by shock waves while being protected by insulated tiles, much like the Mercury through Apollo missions had used shock waves off ablative heat shields. 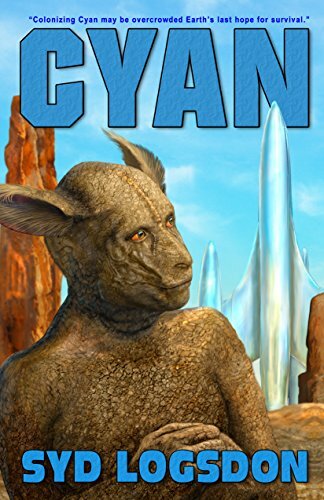 Dyna-soar was designed to ride into orbit on top of a military rocket and to lose its heat by skipping — that is, by dipping into the atmosphere, then bouncing back into space to radiate away the heat it had built up, followed by repeat, repeat, repeat, until cool enough to finally land as a glider. That would make for a long, hard, bumpy ride. If you are simply thinking of reentry, it would be a unnecessarily tough way to go. To understand why the skip-glide method was so inviting, you have to project yourself back to dawn of the 1960s when rockets were small and space exploration was new. With skip-glide, a relatively small and not particularly powerful rocket could send the Dyna-soar anywhere on Earth. When Alan Shepard made his sub-orbital flight, he traveled 116 miles above the Earth but landed only about 300 miles downrange. With that initial altitude, Dyna-soar could probably have circled the Earth before landing. Dyna-soar was developed as a reconnaissance and bombing vehicle. It was, after all, an Air Force project. 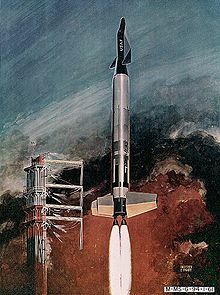 Had it gone to completion, the Dyna-soar (also called the X-20 later in its development) would have been the most sophisticated space craft of its era. Unfortunately, money was scarce, and while in orbit, the Gemini could do anything the Dyna-soar could do. Gemini was a monumentally successful project (see Gemini) that sucked up all of America’s attention. In December of 1963, the Dyna-soar project was cancelled. Again, the Air Force had lost out to its civilian counterpart. It didn’t give up. 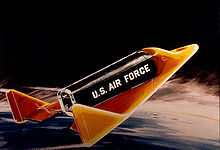 The next time around, the Air Force co-opted the Gemini. That third chapter in the Air Force’s bid for space was told here last November as The Space Station That Never Was. We’ll cover the rest of the story – so far – tomorrow. This entry was posted in A Writing Life and tagged history, military, politics, spaceflight, writing, X-craft on April 26, 2017 by sydlogsdon. Our voices had risen. The driver straightened up and I got a glint of metal as he half drew his pistol. Behind me, Ed would be sighting his rifle. A phone call and some more of the Senator’s money bought me a ticket on the redeye from San Francisco to Paris, a Eurail pass, and a new wad of traveler’s checks. I picked them up three hours later when I dropped the Pinto off at Joe Dias’, and he gave me a ride to the airport. My backpack was at the embassy, and a call to Marseille told me that none of the flyers Colin McAdam and his friends had circulated had brought any response. Thirty-one hours and nine time zones after Davis had given my death sentence, I was looking out of the train window at the Loire Valley, heading for L’Orient. Raven wasn’t there. I wandered around for two days, listening to Breton bagpipe bands, and gave it up. She wasn’t in Amsterdam, or Delft, or Harlem. She wasn’t in West Berlin. I stood in front of the wall thinking of the hundreds who had died trying to cross it, and wondering how long it would stand. Only months, in fact, but no one knew that then. She wasn’t in Prague, or Munich. Riding the train south from Munich toward Innsbruck, I knew that the summer was over. Outside there was a haze of brown among the green grasses, but that wasn’t the real clue. I could read the end of things in the faces of the passengers. Kids, mostly, in late teens and early twenties. In June they had been full of promise, with faces bright and full of wonder. Everything they saw was fresh and new; if it wasn’t Omaha, then it must be wonderful. They were ready to laugh at every banal and ordinary thing. This entry was posted in Serial and tagged literature, thriller, writing on April 26, 2017 by sydlogsdon.